Daniel Ellsberg Expected Life In Prison After Leaking Pentagon Papers : The Two-Way Also, though not much isn't already known about what's in the papers, Ellsberg says today's declassification of them is a timely reminder of the dangers of too much government secrecy. 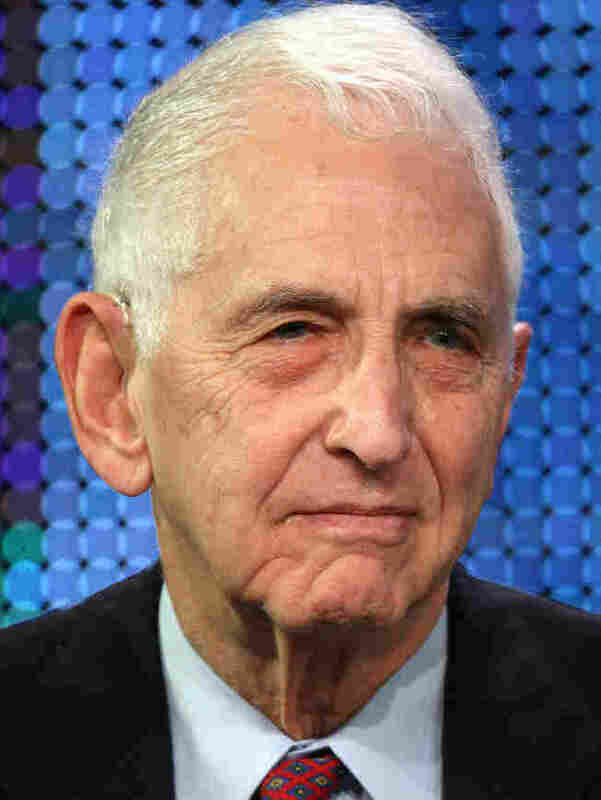 Daniel Ellsberg; Jan. 16, 2010. Forty years after he saw them start appearing in newspapers, the man who leaked the Pentagon Papers sounds somewhat surprised that he isn't sitting in a prison cell. "I expected to go to prison for life," Daniel Ellsberg told All Things Considered host Robert Siegel earlier today, as they discussed this afternoon's declassification of the papers that laid bare government deception in building the case for going to war in Vietnam. But a mistrial was declared in the case against him because of evidence that the Nixon White House had agents break into the office of Ellsberg's psychiatrist in a search for ways to discredit him. And though he does not think there's much left in the papers that isn't already known, the always outspoken Ellsberg tells Robert that there's still value in today's declassification. He's a critic of the Obama administration's prosecution of leakers, and says "it really is a good time to be reminding people of the lessons of Vietnam and the Pentagon Papers," he says. "Unfortunately, it's extremely timely." Much more from their conversations will be on All Things Considered later today. Click here to find an NPR station that broadcasts or streams the show. Later, we'll add the as-broadcast version of the interview to the top of this post.